The mosaic beads in this bracelet are made of rough-cut paua shell pieces that smoothly polished. 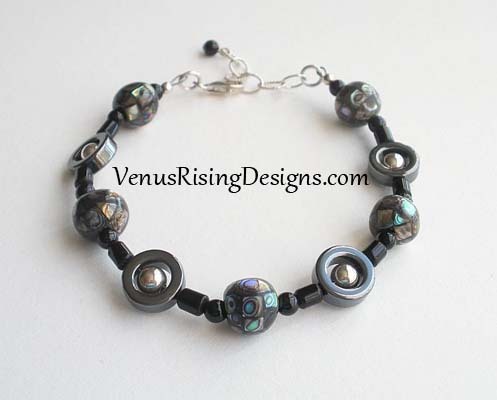 I added steel-gray hematite donuts, sterling silver beads, and black onyx beads. Bracelet is adjustable and fits wrists 7-1/4" to 8-3/4".